Home » FullTiming » Long Range WiFi Antenna and Mounting. Long Range WiFi Antenna and Mounting. I am currently parked up near my mums to help her after an operation but I am too far from her house to get her WiFi. I have just splashed out £40 odd on one of those long range directional antenna’s and tested it out today. I have gone from 1 bar and unusable to 4/5 bars and really fast. I bought this from faculty-x and the service was excellent and the product has lived up to it’s billing so far. The only problem is it comes ready to pole mount and I don’t have a pole. 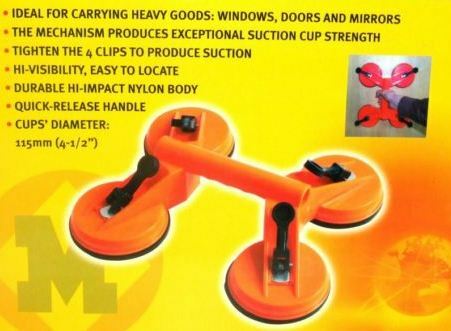 I have seen people using suction cups used by glaziers at shows so I decided to have a root around on ebay and found this. This should do the job nicely…. Here is the ebay listing. ← Disaster today. Battery failed no power, central locking failure and door locks broken.